Over 140 Pages of Preaching Sermons! As most preachers know, it takes many years of education and experience to write preaching sermons that teach the word of God and encourage the people of God. These 16 original preaching sermons are from the library of Reverend D. Blackburn BA GDM who is a registered ordained minister with the Baptist Church. He has over 20 years of experience writing sermons for his congregations. These 16 preaching sermons are full manuscript sermons and they cover the whole book of Philippians verse by verse. 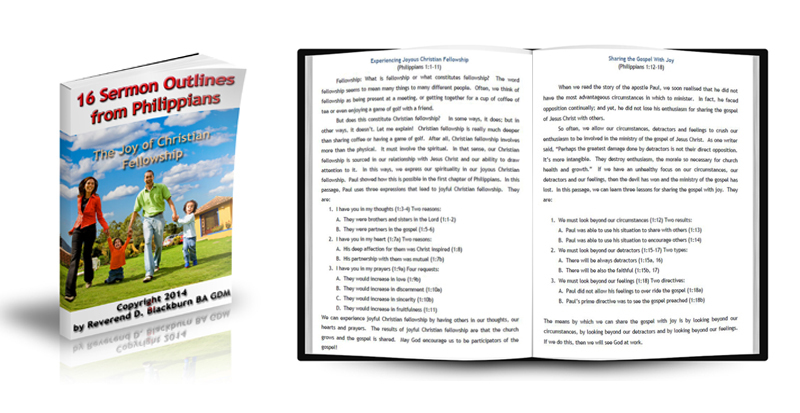 These 16 preaching sermons are set out in a logical and sequential format for ease of preaching. Each sermon has an introduction, sermon body and conclusion. 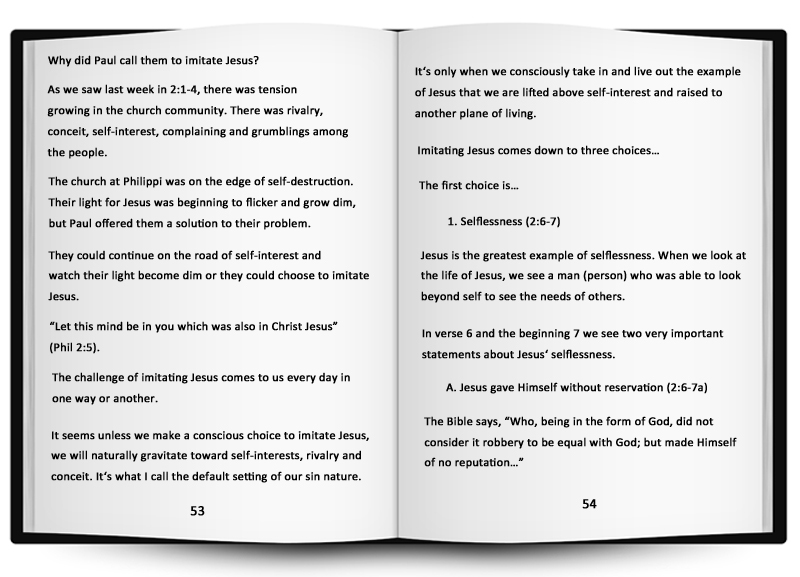 The introduction introduces the topic of the sermon, the sermon body expands and explains the topic of the sermon and the conclusion reinforces what the sermon is about. All of these sermons have cohesion and sequence and they are easy to preach. 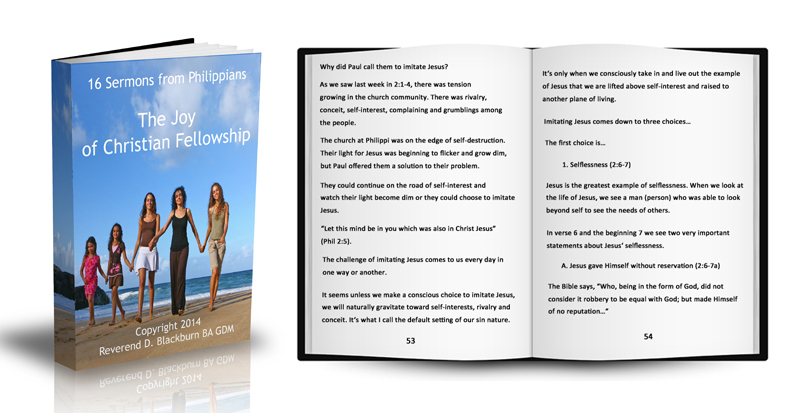 The major theme of the Book of Philippians is Living the Christian Life to the Glory of God. Therefore, most of the topics in Philippians relate to the Christian life. THERE IS NO REFUND ON THE PURCHASE OF THESE PREACHING SERMONS. SO PURCHASE WISELY AND PRAYFULLY!